"For the past 20 years we've focused on a single country," says Tim Pellerin, the NSLC's vice-president, marketing and merchandising, "where about 20 to 25 percent of wine was from the country of origin." This year, the four most successful countries of years past—Italy, France, Australia and the US—have been made "anchor countries." These terroirs represent some of the NSLC's "most committed winemakers"—but what about that other 75 percent? "We try to showcase the best of everywhere in the world," says Pellerin. 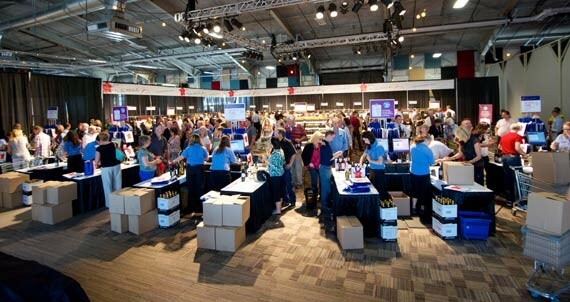 "You'll still find wines from everywhere the NSLC does business." 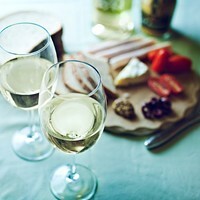 You can even download an app—at mynslc.com—which includes self-guided tastings to help you plan your delicious journey. Locavores will be pleased to know that 50 out of 360 featured wines are local. "We're very proud of how well Nova Scotia wine is doing in our stores," says Pellerin, adding that the NSLC sells 120,000 cases of local wine in a given year. "It feels very fitting that at our 20th anniversary we're celebrating a record number of Nova Scotia wines." I'll drink to that.